Speak with most executives who sit on top of large front-to-back office operational landscapes of say 800FTE + and they will probably be quick to point out that theyre currently in the midst of a major transformation agenda where better customer experience is the driver and NPS (Net Promoter Score) a major measure of their success in improving that customer experience (not to mention a contributing factor in their bonus calculation!). They will continue to share with you the broader strategy which may well include: a large outsourcing agenda (probably back office in India and front office in the Philippines); cloud- based deployment initiatives (from Infrastructure to CRM, ERP, Call Centre apps. et al); and a big analytics piece to deliver actionable intelligence to the Enterprise to not just satisfy but further monetise the customer base. Does this sound reasonably familiar? Almost a broken record in fact? If you identify with any of the above then perhaps youll also subscribe to my proposition that Strategy is actually the easy part as the formula above is fairly well the standard for how a modern Enterprise must deliver on its imperative to improve customer service whilst reducing costs and increasing revenue/profits. Its now pretty standard stuff, not discounting the uniqueness of every company and every industry vertical but the central tenets remain the same. So once the strategy has been formulated it almost goes without saying that the key to ensuring excellence in operational execution is by hiring operations executives who have proven they have the white hot modern skills, knowledge and personal attributes to deliver not just what the Enterprise needs now but 3-5 years into the future, and potentially beyond. Proven success managing large scale back or front office operations of 600+FTE in-house: Yes, this an obvious point but youd want to see someone having been in the one job of significant size for more than 4-5 years to see the end results of their actions. Some questions to delve deeper may include: Did they own the P&L? How do they link/attribute the direct impact of their activity to improvements in NPS? What is their philosophy in relation to getting the best out of people in a modern, multi-faceted operational framework where unique cultural sensitivities offshore form a big part of the whole equation? Proven success managing large scale back or front office operations of 600+FTE with a BPO: This requirement is not so obvious but, to my mind, most large Enterprise operations (and even Government in more recent times) have significant parts of their operations outsourced, or are in the process of being outsourced. I therefore believe candidates who have worked on the BPO executive operations management side of the equation bring very commercial and increasingly relevant skills to the table notwithstanding a real knowledge of the tricks of the BPO trade meaning they can keep the third party vendor honest! once jumping ship. Their 360 degree perspective is particularly useful come contract renegotiation time and in the rejigging of the workforce optimisation equation with associated FTE quotas against agreed SLAs given people are still typically 70% of total costs. Id ask aspirants: What convinces you that you could gel culturally back into an in-house environment given BPOs work so much faster and with so many more variables and competing stakeholder interests?  in-house environments are, by contrast, relatively staid with slower decision-making. Its not so much the assessment of competence as opposed to the cultural match Im looking for when assessing candidates looking to make this transition. Proven ability to work within large scale matrix reporting environments: Whether their experience is in-house or outsourced, no operations executive in the modern era can achieve results without knowing how to successfully navigate a sophisticated reporting matrix where responsibilities are often blurred across geographic, functional, industry segment or discipline lines. Some questions to understand how they operate in this regard: Could you reference an example or two where you were able to successfully argue a business case despite stern resistance from key stakeholders? Who were those stakeholders and how did you relate to them individually? What is your relationship with them like now? Collaborating with the wider team to deliver on customer experience, satisfaction and retention outcomes is one of the most important and necessary attributes for the modern operations executive by complete contrast to the autocratic rule of years gone by. A clear vision for what best practice customer delivery will look like in 5 years: Im beginning to ask this question of almost everyone I meet who purports to be in a leadership role sitting on top of Customer Experience on behalf of a major Enterprise. Companies must articulate and then commit to a Customer Experience strategy and that means significant investment of resources be it offices, people, technology, processes, culture,.. in supporting and executing on that strategy. The stand-out operations executives will not only deliver on that strategy but also have the vision to understand what should happen next operationally, at least 3-5 years into the future (which seems to be about the absolute stretch). 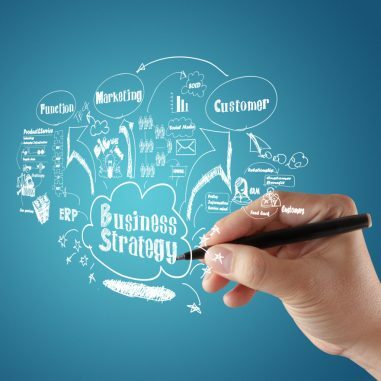 Theyll not only deliver on the strategy but help to formulate the strategy going forward as theyre operating at the coal face with heightened sensitivity to what the customers think of the company and the service theyre delivering. To assess the operations executives who really get this, Id ask: Share with me an example of where some of your customer feedback learnings have led you to argue for significant change to the overarching Enterprise Customer Experience strategy? How did you prepare and deliver the business case? What objection/s did you encounter and how did you resolve them? What was the end result? Id especially want to see reference to the adoption of emerging technologies, the digital phenomenon and self-service offerings as that is where it is all headed according to the customer feedback surveys of recent years with, for instance, web chat now the preferred channel of choice. Customer Experience strategy development and its operational execution is no longer a top down exercise. In an era where the customer is unquestionably king with the power to potentially hold a companys brand to ransom overnight via social media, it has never been more important to attract and retain first class operations executives who dont just deliver operationally but also filter timely actionable intelligence back into the Enterprise to ensure the strategy is correctly aligned with where your customers will demand you take your business. Over a career spanning 23 years, Greg Tanna has established himself as a thought leader in the supply of highly specialised executive talent in the Customer Experience domain spanning BPO, ICT, WFO, Sales, Service, Analytics, Digital, Intelligent Automation & AI Consulting sectors. Feel welcome to contact Greg directly on +61 414 503 719 or via the social links below. 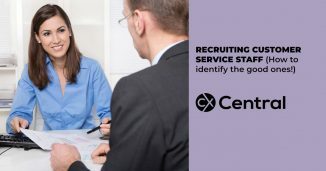 We share some tips on recruiting customer service staff including 5 expert tips on how to identify the good staff during the recruitment process. 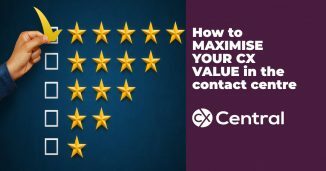 If you are responsible for the contact centre channel learn how these 5 tips will help you maximise your CX Value to the entire organisation. 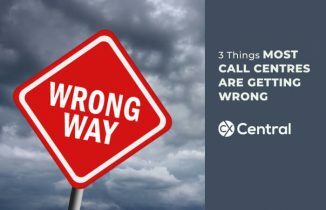 There are 3 things most call centres are getting wrong and we reveal what they are, and how you can ensure your call centre isn’t one of them.